US comedian, actor, and writer Bo Burnham brings us his critically acclaimed feature film debut that takes a funny, distinctive, and refreshingly clear-eyed look at the tidal wave of contemporary suburban adolescence. 13-year-old Kayla (phenomenally played by Elsie Fisher) is in her last week of middle school. Unbearably awkward and riddled with anxiety, she’s struggled through the year, channelling her creativity and longing for connection into a confident online persona making YouTube advice videos that no one watches. As high school approaches, Kayla musters up all the positive thinking she can manage and embarks on a mission to turn her thus disastrous year around. What would you say to your 13-year-old self? Sumaya from Rife Magazine reflects on her experiences at the same age in this open letter. Let us know your wise words - comment on the article! 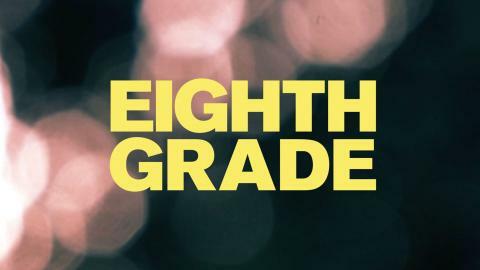 There will be a Cinébabies screening (for parents/carers of babies under 12 months) of Eighth Grade on Mon 29 April at 11:00. Screenings before 16:00: £8.00 full / £5.00 concessions. Screenings after 16:00: £10.00 full / £8.00 concessions. Concessions apply to Full Time Students, Job Seekers Allowance and Employment Support Allowance, 60+ who have retired, Equity and BECTU members and disabled people. Refugees and asylum seekers can get film tickets for £5.00. Where applicable please produce proof of eligibility when collecting a ticket. If you use a wheelchair please contact Box Office directly to book tickets on 0117 927 5100 or info@watershed.co.uk, so that we can help reserve the best seats for you. We offer companion seats without additional charge if required. Visit our Access page for more information.